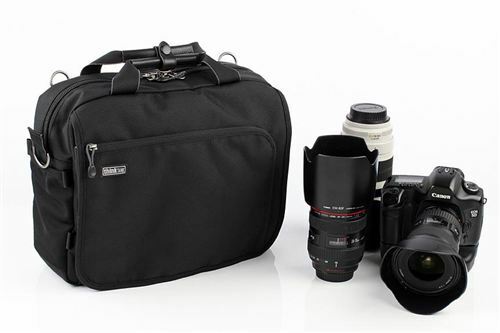 Professional appearance, does not look like a traditional camera bag. 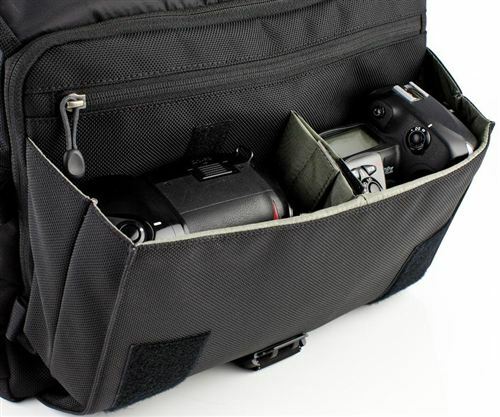 Expansion Zipper increases depth to fit a pro size DSLR with standard zoom lens attached, in main compartment. Easily accessible front organizer pocket. Leather handle clasp keeps two carrying handles together. Easily accessible front organizer pocket. 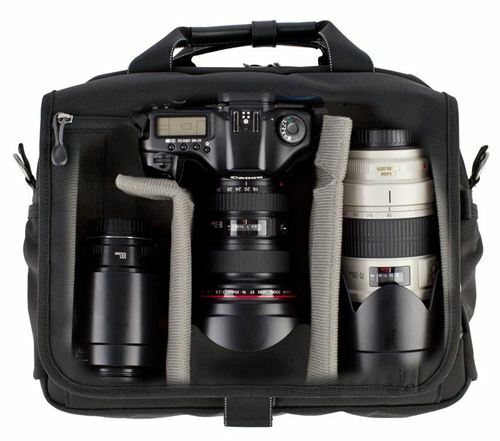 Expandable front pocket with divider for carrying two pro size DSLRs. Rear panel for roller handle attachment can be closed for use as another pocket.